Thanks for posting this – sounds pretty delish! This looks really delicious! Thank you for posting! I made these tonight and they were really really good! Thank you. We used them for tacos. I was going to try making them into scallion pancakes next time. I LOVE them. Scallion pancakes is a fantastic idea!! So glad you had success and loved them. 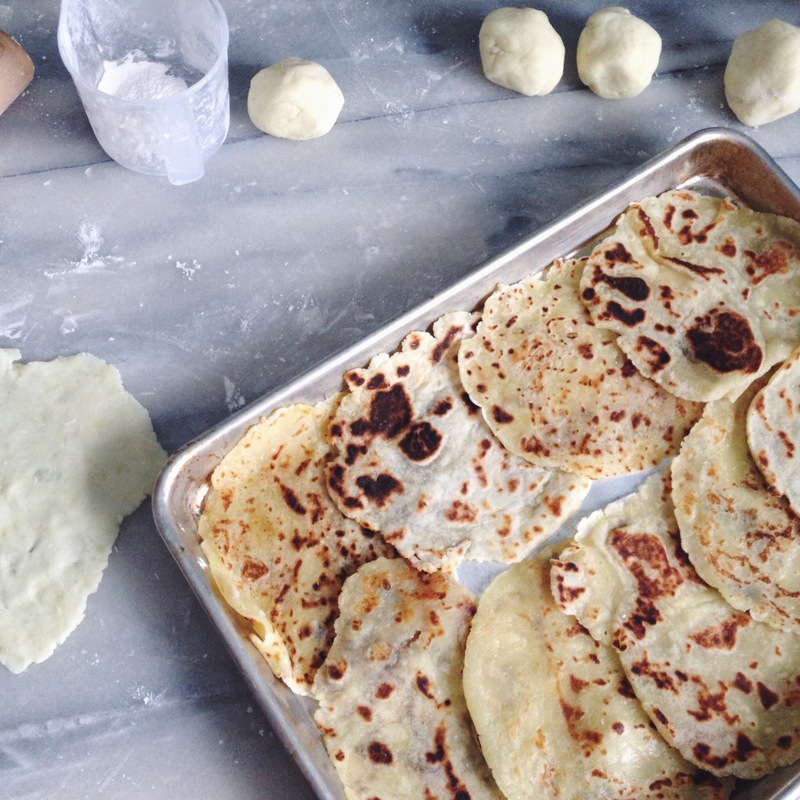 Next I’ll be posting my recipe for plantain tortillas, which we gobble up so quickly. Quick word? I tried to follow several of the embedded links in the post, and they all had the same typo that broke the links. Instead of “http://” (which is the correct version) they had “http//” (missing the colon). It was easy to figure out, and I did get all the links, but I thought you might want to know to fix them. THANKS!!! I don’t know where I’ll find white sweet potatoes, but I’m on the hunt! Thank you for letting me know..I had no idea. The links were all copy and pasted in. I’ll fix that. I have found white sweet potatoes at every food store in my area, hope you succeed. 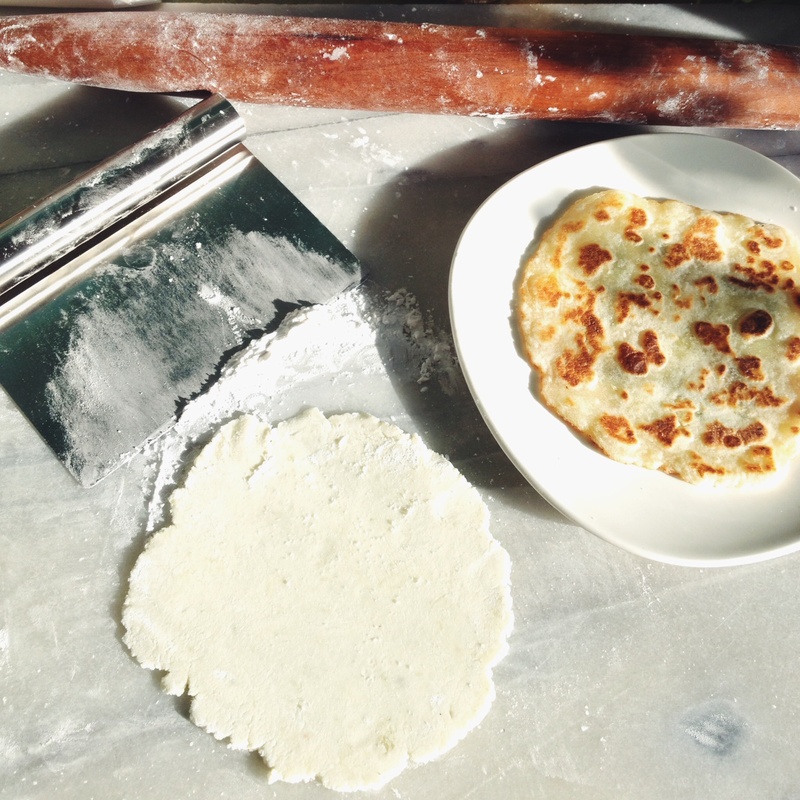 If not,orange colored lefse is just fine. Great! I can find orange & blue sweet potatoes, but have never seen white. Thanks! Thank you for this recipe. Having something to wrap some salad in has given me a mental boost I really needed while on the AIP diet. To save some time/effort, I used our sandwich press (with grease proof paper on top and bottom elements) to squash them flat and cook them. They turned out really well. I’m so glad the recipe is helping you! I never thought to use a sandwich griddle to make these- thanks for sharing! Just made this and…oh sweet Hallelujah they are fantastic!! I’ve been on AIP for 2weeks now and have really been struggling with not having a bread or tortilla to put my food in. I do have a question though…how do you store them? In the fridge?